Fred’s Pharmacy is the US’ favorite discount hometown store. 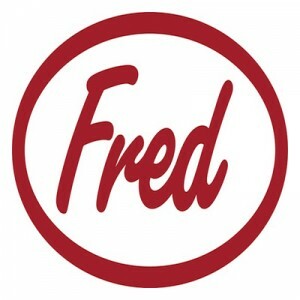 Fred’s Inc. is dedicated to provide customers with everyday necessities at very affordable prices. This is the go-to place for value-for-money items ranging from prescriptions to household essentials. This hometown discount store first opened its doors in 1947. The original store was in Coldwater, Mississippi. The headquarters is now in Memphis, Tennessee. The company has 2 distribution centers – Dublin, Georgia and Memphis, Tennessee. Since its first store opening, the company has expanded to more than 250 pharmacies and over 650 stores. Fred’s Inc. now operates 57 Xpress pharmacies, 304 full-service pharmacy departments and 3 specialty pharmacies. Employees receive competitive compensations as well as bonuses and distinctions for excellent service. They also receive benefits such as paid time-offs, vacation policy, retirement benefits and insurance benefits. The company also offers the Employee Stock Payment Plan. Employees enjoy working for this company. It helps them chart a fulfilling career. The work in itself is fulfilling. The company recognizes all these hard work and passion with rewards and recognitions. Fred’s is also an equal opportunity employer. How old do you have to be to work at Fred’s? Entry-level positions require the applicant to be at least 18 years old. Some positions may require the age to be at least 21 years old. Thinking about joining the team? There are two categories to choose from – store opportunities and pharmacy job opportunities. Store job opportunities include responsibilities related to running the store such as stock, inventory and cleanliness. Pharmacy job opportunities include everything related to filling out prescriptions, consultations and ensuring every activity meets laws and standards. Key Holder: This is an entry-level, part-time or full-time position. Opening and closing the stores need to follow proper procedures with proper documentation. Other vital responsibilities include maintaining all merchandising standards and ensuring excellent customer service. The Key Holder also works directly with other team members, like the assistant manager and store manager. Part-Time Cashier and Stocker: This is a part-time, entry-level position with a vital impact on the overall store operations. Key roles include delivering excellent customer service, processing freight, merchandising and maintaining good store conditions. The employee who holds this position must be available to work on different shifts, including night shift, certain holidays and even on weekends. Store Manager: This is a key member of the store’s management team. The Sales Manager will be responsible for providing direction and training to the employees. Duties of the Sales Manager are focused on ensuring smooth day-to-day store operations. This includes directing and ensuring excellent customer care, sales building, asset protection and people development. Assistant Manager: As the Assistant Manager, the responsibilities will focus on ensuring proper execution of overall daily store operations. This can be carried out in a supportive position or as head in the absence of the store manager. Daily staffing and execution of general administrative duties are also key roles of the Assistant Manager. OTR Truck Driver: Responsibilities include on-time, accurate and proper delivery and pick-up of merchandise according to the established schedule. The Truck Driver ensures that merchandise is received in good condition. Other key responsibilities include vehicle inspection, checking bill offloading is properly signed, and all other delivery-related paperwork are compliant to regulations and laws. Pharmacist: The key role of the pharmacist is to ensure that all prescriptions are properly filled, following all laws and regulations, as well as company procedures and policies. This position may also be required to deliver assistance, advice and consultations to clients. All services must be delivered courteously and professionally, with a friendly and helpful attitude. Pharmacy Assistant: As the Pharmacy Assistant, key roles include sorting, filing and retrieving pharmacy records. All filled prescriptions should be filed properly at the designated area. The assistant also greets customers and handle transactions at the cash register. Pharmacy equipment and the work areas are maintained by the assistant according to the company’s standards. Pharmacy Clerk: The pharmacy clerk is vital to the smooth operation of the pharmacy. Duties include answering the phones, stocking the shelves, sterilizing the containers and cleaning the work areas. Duties might include labelling drugs and ordering medications, as well as organizing supplies under the direction and supervision of the pharmacist-in-charge. Pharmacy Technician: This position requires direct reporting to the pharmacist-on-duty. The important roles of the pharmacy technician include answering phones, unloading deliveries, proper placement of stock, and accurate data entry. This position will be required to perform multiple duties and work on different schedules. Pharmacy Manager: Key function is to provide prescription products to the customers. Other important roles include supervision of technicians, staff pharmacists, interns and clerks. Responsibilities also include ensuring that the pharmacy complies with all state and federal laws, Fred’s procedures and policies, and any rules and regulations governing pharmacies, drugs and drugs dispensing. Applicants can browse through the job postings on the website. They have the choice to join the company’s Talent Network. This is an enhanced search and application process, providing alerts on job opportunities through social media channels or through email. Online applications are currently accepted. The applicant will have to click the job posting. The job description is posted for reference. The applicant follows the prompts to complete the application. Application is a 3-step process. It starts with uploading a CV or a resume with a cover letter. Next, click the tab for Information. Enter accurate personal information. Check everything then click the Submit button. Submit a comprehensive resume in addition to the properly filled out online application form. This resume should contain all the applicant’s qualifications for the position. Include skills and trainings, as well as experienced gained from previous employment. Once the application form and resume are deliberated upon by the management, schedule for interviews will be sent to candidates for the job. Show passion for customer service and the dedication to carry out the company’s vision during the interview. The company’s vision is to give excellent customer service. The company prides itself with its pool of team members who are knowledgeable, friendly, courteous and willing to go well above and beyond their responsibilities to help every customer. The company is committed to extending help through community service. They pair up with local groups and provide support towards the betterment of the community. Example of partner groups are United Way and Children’s Miracle Network. The stores have a unique strategy and format to deliver satisfactory customer service. This combines the core elements of a healthcare-focused drugstore with value-focused retailing. Every year, the company holds programs that recognizes and gives support to many members of the community. One such annual event is the commemoration of the fallen 9/11 heroes through fundraisers’ help by every Fred’s Pharmacy stores across the country. 1 How old do you have to be to work at Fred’s?